Lauren is one of the 24.9 percent of Americans who volunteer, according to the latest data, contributing 7.9 billion hours of service every year. In Utah, which has the highest volunteer rate in the country, 43.2 percent of residents spend time volunteering. They make programs like Circles and other services for people in need, successful. The obvious advantage of volunteering is feeling good about giving back or helping someone. But the benefits of volunteering go well beyond that and will change your life. Becoming a volunteer will impact your health, deepen or change connections and even help your career. Believe it or not, volunteering will improve your mental and physical health, and you may even live longer. Research done over the last few decades shows that there’s a strong relationship between health and volunteering. Some of the studies, though, indicate that people need to volunteer around 100 hours per year or more to get the most health benefits. Physical health: In states with high volunteer rates, people have fewer incidences of heart disease. And trends show that health problems are more common in states with low volunteer rates. Also, people severe or chronic illnesses who volunteer get benefits above what medical care can achieve, researchers found. Volunteering enhances a person’s social network, which reduces stress and risk of disease. Also, several studies show that people who volunteered earlier in life have more functional ability and better health later. Mental health: Better mental health is another benefit of volunteering. Research shows that people who volunteer have lower rates of depression than non-volunteers. In one study, older adults who volunteered in 1986 had lower depression rates in 1994. Longer life: Some longitudinal studies show that people who volunteered in the first part of the survey had lower mortality rates at the second part of the survey, even after researchers took into account other factors like age, gender, socioeconomic status, and physical health. Based on extensive research, people who volunteer live happier, healthier and longer lives than their non-volunteering peers. People who volunteer have deeper, and more, social connections than non-volunteers. Lauren, who decided to become an ally in the Circles program, made meaningful relationships with people she wouldn’t have met otherwise. She formed friendships with fellow mentors as well as participants in the program. Lauren got to help, and watch, as people learned new life skills and made better lives for themselves out of poverty. She, and volunteers like her, are the reason the nationwide Circles Initiative is successful. Like Lauren, volunteers build better connections and form closer relationships and attachments than people who don’t volunteer. Being civic-minded also has career advantages. It makes you more competitive: When employers are considering job applicants, they’re more likely to choose the candidate with volunteer experience. That’s because volunteer experience shows you’re a team player and showcases your skills. 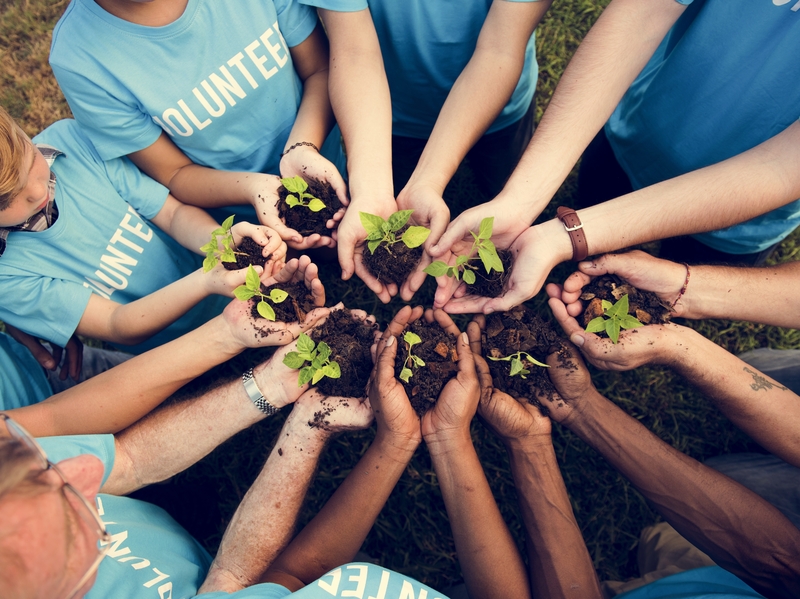 According to one survey, 73 percent of employers say they’d recruit a person with volunteer experience over a non-volunteer. It gives you options: Volunteering is a valuable way to explore other career options or gain new skills. Mike, who was a cook, decided to use his cooking skills as a volunteer at his local homeless shelter’s kitchen. The nonprofit needed someone to promote its fundraisers, so he volunteered to write some press releases and go on local radio and TV shows. His volunteer work opened up a new career field for him. Spending time volunteering will improve your career prospects, whether it gives you an advantage over other job candidates or you gain new skills. Volunteering will improve your life. You’ll be healthier—mentally and physically, connect with people in your community, and improve your career prospects.